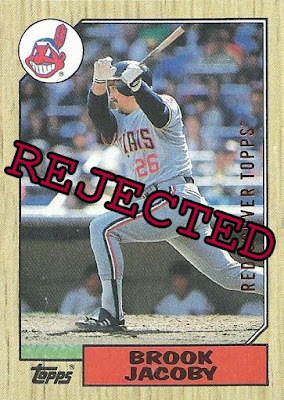 For today's buyback franken-set post, I've got the latest batch to arrive in trade. 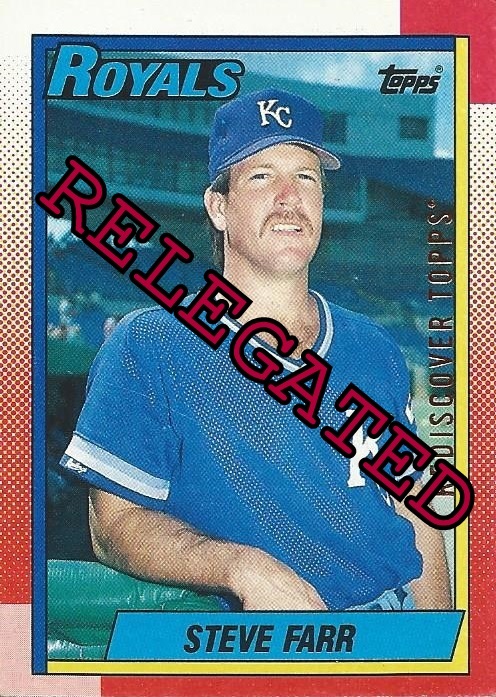 These came from John Miller, who writes over at Johnny's Trading Spot. These actually showed up a few weeks ago but I got backlogged thanks to the large package of buybacks from Brett. John sent me a very nice PWE stuffed full of 2017 REDISCOVER TOPPS buybacks. Let's see how they fare! I'm not sure if it was coincidence, or if John knew about my 1990 Topps buyback project when he was putting together the PWE, but he included a few much-appreciated '90 buybacks. Brian Holman here was a pitcher that lasted just a handful of seasons at the Major League level. This is my first #616 buyback, and since I have a rule about populating as many numbers in the franken-set before worrying about my 1990 project, Brian goes into the franken-set binder for now. Yup, another 1990 Steve Farr! These are the same foil type too, bronze, so the card John sent is a true double. 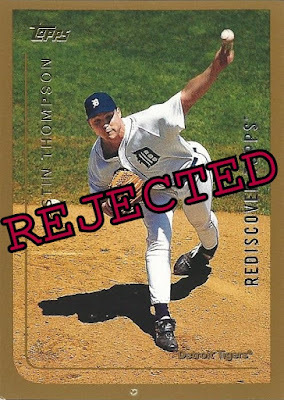 The thing is, it's not really a double at the moment because I need to keep one in the franken-set binder, and the other in the 1990 Topps binder in case I never find a better #149 buyback to bump the original over from the franken-set binder to the '90 Topps binder. I know, it's a complicated situation I've created for myself here. So, I spent a considerable amount of time and performed a complete review/sanity check of the franken-set binder, the rejected box, and the 1990 Topps binder to make sure my inventory was entirely up-to-date and accurate. The process took me a couple of days, but it was time well spent as I found and corrected one or two clerical errors that I made, and am now 100% confident in the accuracy of my totals for both projects. 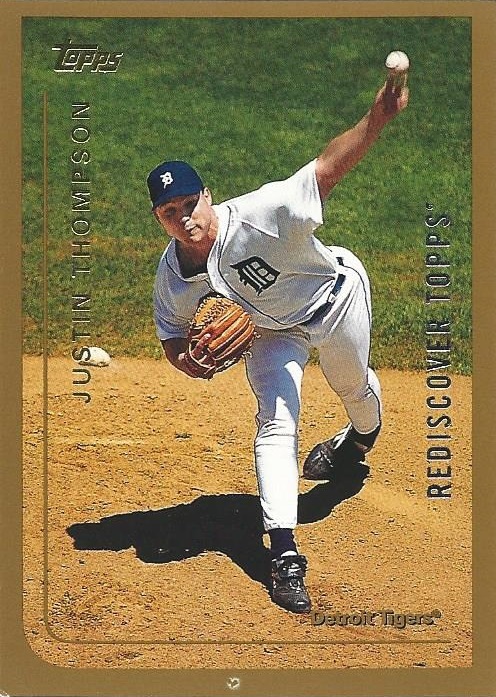 Next up, pitcher Justin Thompson of the Detroit Tigers on his 1999 release. 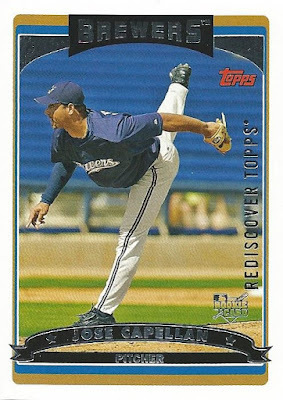 I honestly have no recollection of this guy being an All-Star in 1997, but he was. 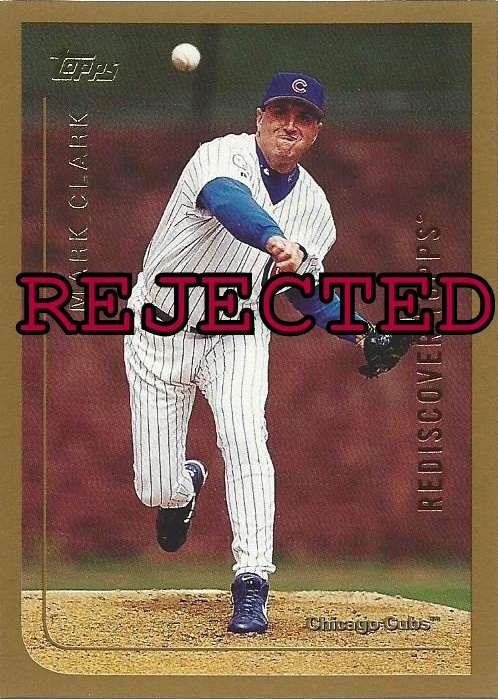 Injury problems limited him to just one more season of Major League Baseball after 1999, which came all the way in 2005. ...so it's off to the reject box for Thompson. 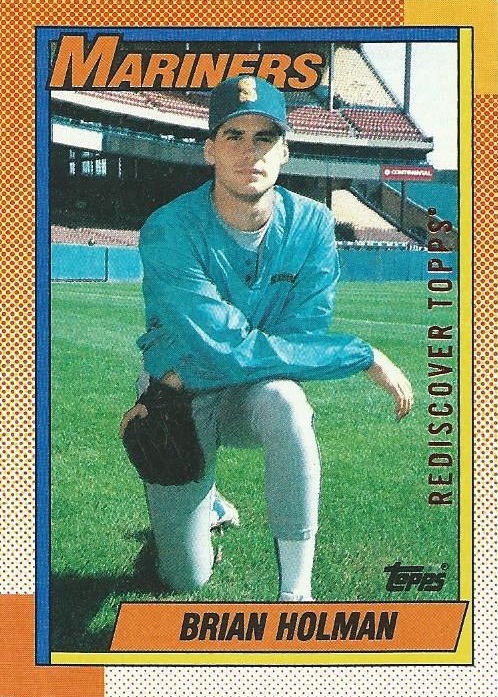 Here's a rarer blue foil REDISCOVER buyback, featuring Randy O'Neal. Coincidental to get back-to-back Tigers hurlers. Does this one make the franken-set? Doesn't look good, any time you're matched up against a 1958 card you're at a disadvantage right out of the gate. 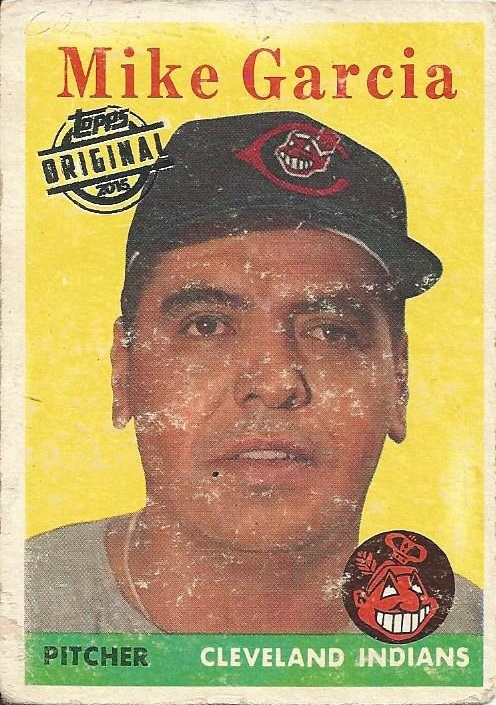 Definitely sticking with the '58 Garcia here. It's Ted Kubiak's hair wing! 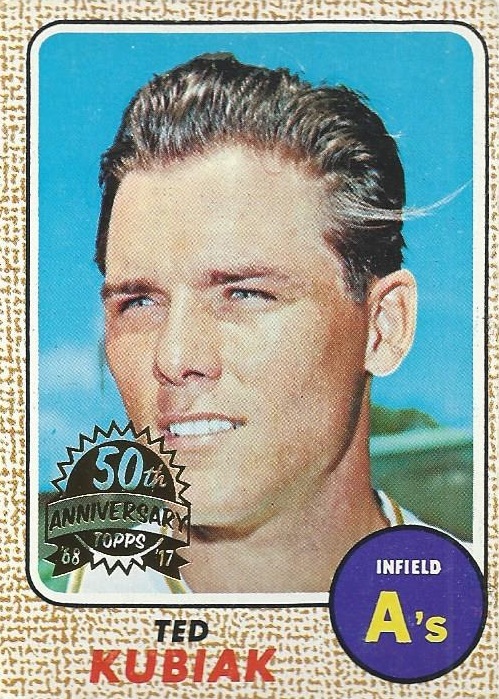 Kubiak's hair wing rules all. It's going to take a better buyback than Bankhead here to oust it from the binder. 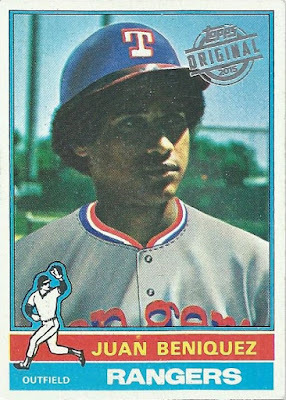 Now, I made a hasty decision and decided to keep Butch Wynegar in the binder, largely due to the fact that it's an older card and I didn't want to bump a '70s buyback in honor of an '87. 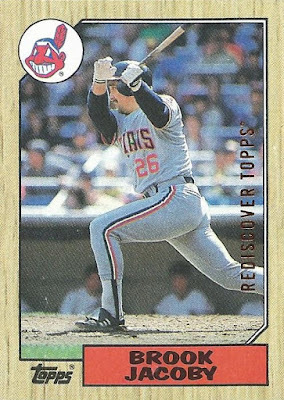 I didn't realize until typing up this post though that Brook hit .300 in 1987, and also hit 32 home runs that year (both career highs). 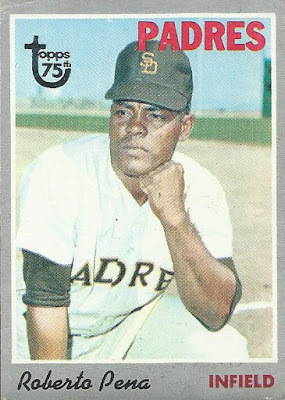 If the day comes when I finish the franken-set off I'm going to review some of the choices that I made along the way. This will definitely be one that I revisit. Another 1990 Topps buyback, this time a checklist. 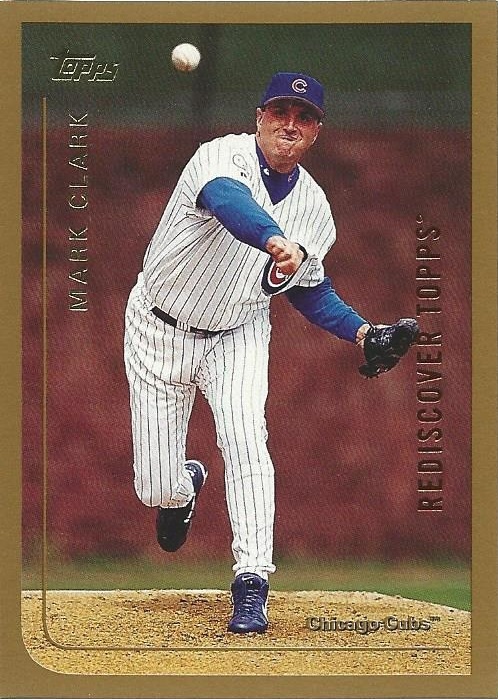 I did not yet have a #128 buyback, which means this becomes the first checklist to join the franken-set! 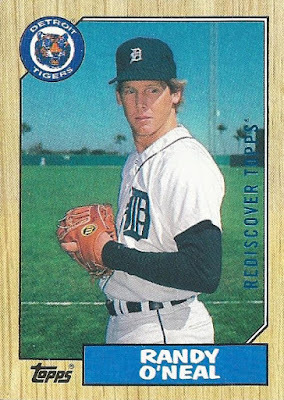 I'm not sure how long it'll stay there, given that I'd love to shuffle it over to the '90 Topps binder, but there it sits for now. 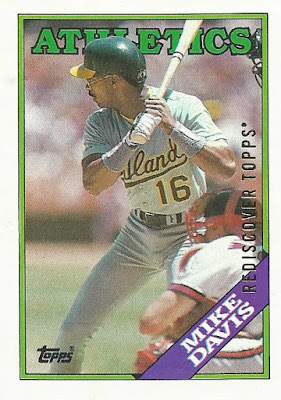 Mike Davis actually played with the Dodgers in 1988, not the Athletics. Not exactly a fantastic signing for Los Angeles, as Davis batted just .196 and was out of baseball a year later. 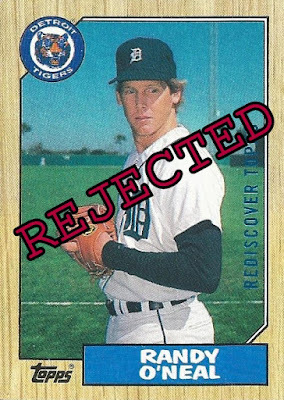 Luckily for Mike, you don't have to hit above the Mendoza Line to make the franken-set binder, and as my first #448 buyback this one makes the cut! 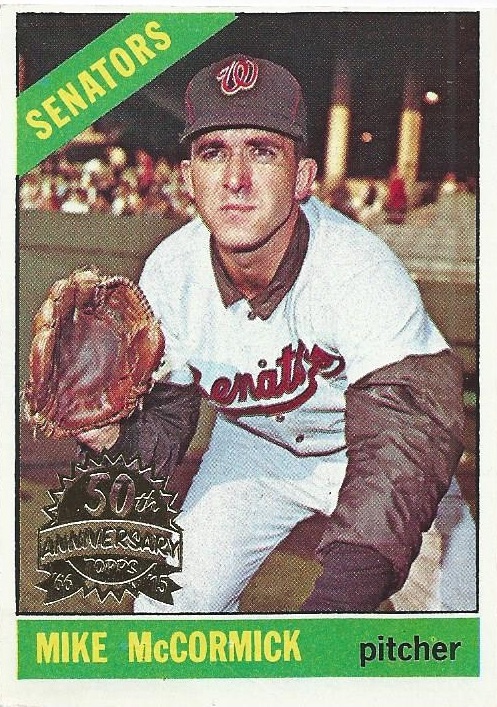 ...he'll have to displace Senators pitcher Mike McCormick. 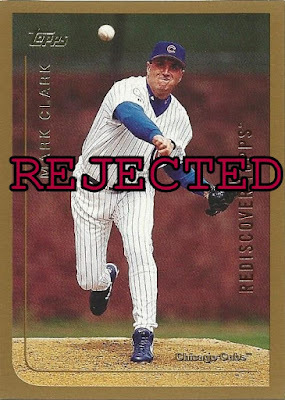 Since I don't have any real attachment to the Clark card, it falls just short of ousting a nice '60s Senators buyback. I have to admit that I didn't recognize Jose Capellan by name when I processed this one. I can see why, as the majority of his 99 MLB appearances across 5 seasons came in the National League. ...and there it will stay. 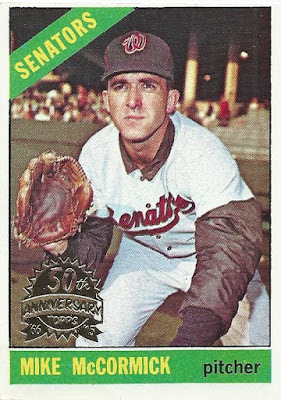 Last card for today, a '68 Dave Duncan. Cards from earlier than 1970 aren't the easiest to find as far as the 2017 REDISCOVER buybacks go, to this one's pretty cool. Dave was basically a baseball lifer, and stayed involved in the game in a few different capacities after his playing days were done. 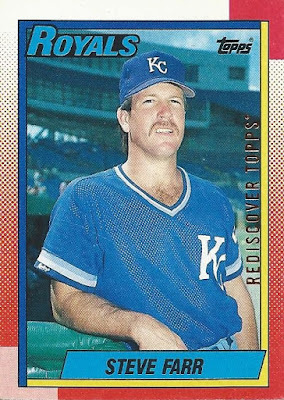 Looks like he's still a consultant for the White Sox even today. This 1970 Curt Motton has been holding down slot 261 for a while now. 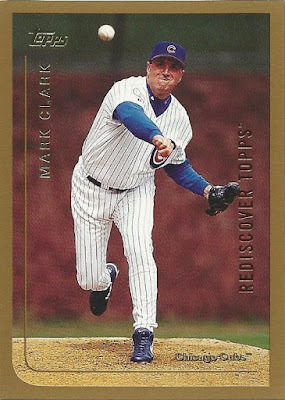 Easy to see why, I just love the photograph and the colors on this card. 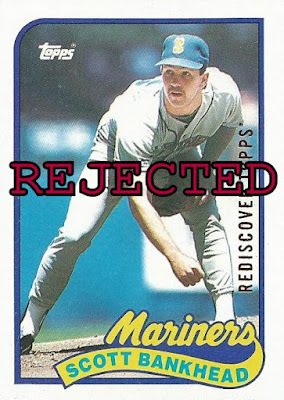 Too much for Dave Duncan to overcome. John, thanks for the great buybacks, really appreciate you sending these my way and contributing to the project. The three new numbers you provided put me at a very significant milestone, as I've now hit 75% complete on the nose for the franken-set! 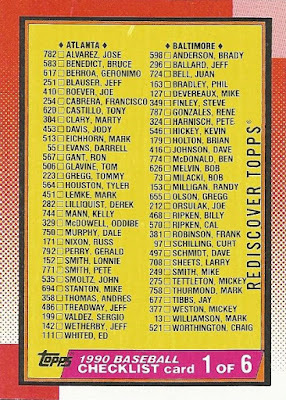 My 1990 Topps buyback binder isn't quite so far along, but 64 cards in that set isn't too shabby either! 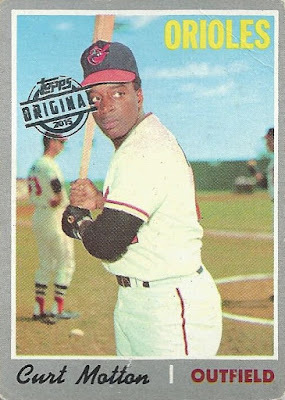 I've got a small stack of Braves building for you John, and should have them headed your way in the next week or two here. Thanks for stopping by and following along with my franken-set project! Why did they black out Dave Duncan’s hat? 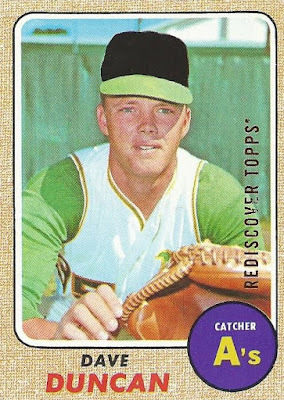 Nobody else has commented yet, so I'll tell Coast To Posts that the A's had just moved from Kansas City to Oakland, and Duncan's cap would have had a "KC" logo on it. 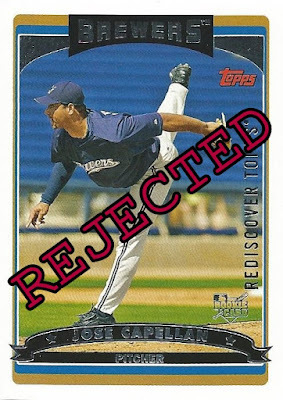 BTW, I love the "REJECTED" stamp on his blacked-out cap. 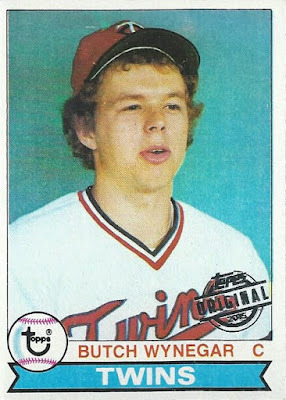 I am happy that 3 made the 1st Franken-set, not the 3 I was expecting but still. 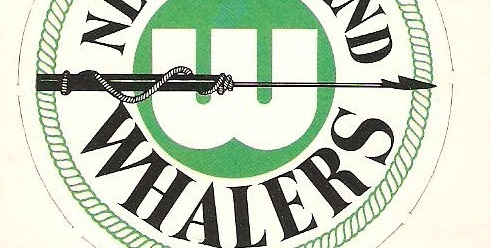 And there is the 1 for the 90's immediately and 2 for the future. I'm good. Looking forward to the Braves.